In 1867, the Russian Czar sold Alaska to the United States, long the land of the Tlingit and the Haidas. 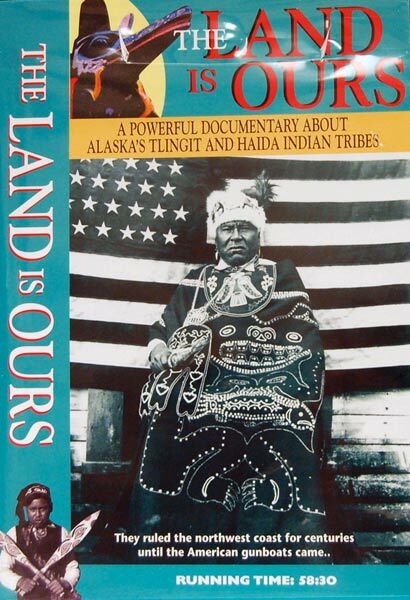 The Land Is Ours is a compelling and moving portrait of Alaska and it’s victorious Tlingit struggle for Native rights, treaty compliance and landmark legislation. The one hour documentary follows the Tlingits from missionary conquest, school integration, and the right to vote (a full 30 years before the Civil Rights Movement), through a successful suit against the United States government that paved the way for Congressional passage of the Alaska Native Land Claims Settlement Act.